It's been a while since either AMD or Nvidia have bundled a game with the purchase of a processor or graphics card, but both companies have resurrected the deal this week to coincide with the launch of new triple-A titles. 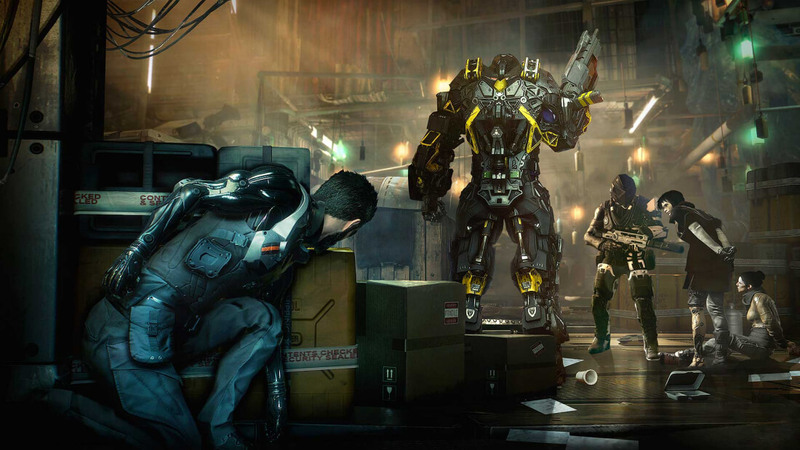 AMD is bundling Deus Ex: Mankind Divided with any purchase of a six- or eight-core FX processor between now and November 14th. It seems as though AMD has some remaining FX inventory in the lead up to Zen's launch, and this bundle should help to clear out some of the four-year-old parts. Taking a quick look at Newegg reveals that not every FX processor comes with a bundled game, however the cheapest model – the $99 AMD FX-6300 – is included in the promotion. Considering Mankind Divided retails for $60 through Steam, you're essentially getting an AMD CPU for just $40 when you purchase that particular part. Nvidia is bundling in-game credit for Epic Games' upcoming free-to-play MOBA Paragon with most of the company's mid-to-high-end graphics cards and mobile GPUs. The entire GeForce 10 series is eligible, along with the GeForce GTX 970 or higher, and GTX 970M laptops or higher. The one notable exception here is the new and old Titan X, which are not part of the promotion. This bundle includes 1000 Paragon Coins, seven Hero Master Challenges, and two character skins for Paragon, totaling "$115 of in-game value". Nvidia is only running the Paragon promotion between now and September 16th.